If you are looking to sell your diamond for cash, it's important to carefully consider how you go about the process. While pawn shops & consignment stores may offer quick deals, it's unlikely you'll receive an offer that is true to market price. Worthy offers an online option where you can easily sell your diamond from your home and receive the true market value of your stone. Value: We get you the most cash for your diamonds. Our ability to show your diamonds to hundreds of qualified, interested buyers sets us apart from the competition. When you sell diamonds with us, we make sure that you receive the highest amount that the market will pay. 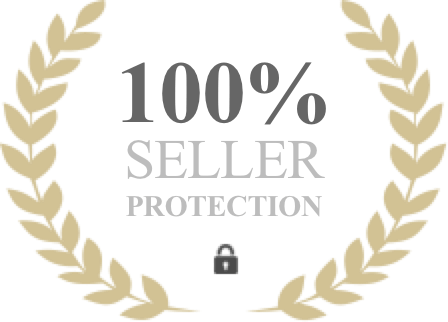 Trust: We have a Secondhand Dealer's License issued by the New York City Department of Consumer Affairs and accreditation from the BBB. Beyond our certification and licensing, we pride ourselves on having extremely high moral standards, and only act in the best interest of our customers. Specialization: We specialize in selling diamonds and know just what it takes to get you the most the market can offer. We exclusively work with diamond industry leaders, like the Gemological Institute of America (GIA) that can help us accomplish this goal. All diamonds sold through Worthy auctions receive a GIA grading, immediately increasing their value. 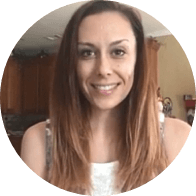 Simplicity: We do all the legwork for you from start to finish. When you sell diamonds for cash, we know that you want a professional, straightforward experience so that you can get your cash as quickly as possible. We are proud of our professionalism, discretion, and our ability to take all of the hard work out of the transaction so our clients can rest easy. Describe your diamond or diamond ring. Based on the provided information, we’ll conduct a market value analysis, resulting in a trending price. When your diamond arrives we will photograph it and have it professionally graded at the GIA laboratory located near our offices. The e-Diamond report and professional photos will be made available to you and the buyers interested in bidding on your diamond. Cut: The cut of the diamond actually refers to the types and number of facets, or edges, on the diamond. Most popular cuts are brilliant and fancy. The number of facets, and the angle in which they are cut, greatly affects how the light is reflected within and outside of the diamond. A more in depth description of cuts can be found below. Color: White and colorless (clear) diamonds are the most valuable and rare. Clear diamonds allow more light to pass through them, and produce a more brilliant shine. The difference between one color grade and another can be incredibly subtle, which is why it is extremely important to have an experienced gemologist looking at your diamond. Clarity: All natural gems, including diamonds, have microscopic impurities, known as inclusions. The less inclusions a diamond has, the higher its clarity. Does Your Diamond Make the “Cut”? As was previously mentioned in the description of the four C’s, when you sell diamonds for cash, the cut and shape have a significant effect on its value. Just like clothing, the cut of a diamond can go in and out of style, and consequently drastically change the value of the diamond. Below, we’ll take a look at two of the most popular diamond cuts, and learn a little bit about each of them. Round Cut: A round brilliant cut is by far the most popular of the diamond cuts. 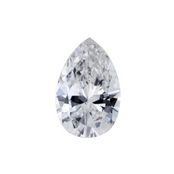 “Brilliant” refers to the triangular shaped facets that typically radiate away from the center of the diamond. While there are brilliant shapes other than round, it is certainly the most popular. 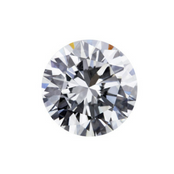 Somewhere between 65% - 75% of all diamonds sold in the U.S.have a round cut, and for good reason. The round cut is considered to be the most effective reflector of light, with 57 - 58 precisely cut facets. In addition to its ability to efficiently reflect light, the round cut maintains the highest value of all of the cuts due to it’s demand, popularity in engagement rings, and the fact that large amounts of the diamond are lost in the cutting process. In other words, more of the base diamond has to be shaved away in a round cut, which means that the finished product is usually a higher cost per carat than other cuts. Princess Cut: The princess cut is one of the many “fancy” cuts (essentially any cut that is not considered a brilliant cut), and has become one of the most popular cuts since its creation in 1980. 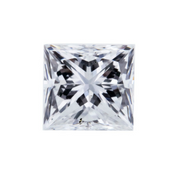 Although the round brilliant cut is still the most valuable and popular, the princess cut is a close second. The princess cut is shaped like a four-sided pyramid, with the large flat area facing upwards. Although princess cuts of equal carat weight have less surface area than round cuts, the large flat surface, which has a diameter approximately 15% bigger, makes them appear larger, which contributes to its popularity. When you sell diamonds for cash with Worthy.com. you can rest easy knowing that we are the diamond experts. How Does Worthy Get You the Best Offer?